Here's how to mitigate unwanted collective turnover and manage IT talent retention during the reorganising of your IT unit. By Rennie Naidoo, Associate professor, School of IT, Department of Informatics, University of Pretoria. If you are an IT leader, you are probably facing the complex task of reorganising IT units to cope with efficiency, integration, new technology and governance challenges. Reorganise poorly and you face the risk of losing your most strategic and valuable resource: talented IT staff. We may be experiencing an economic downturn and it is true that IT budgets are under increasing scrutiny. However, placements for talented IT staff are still available in an otherwise sterile job market and the war for IT talent continues unabated. Just ask the leaders of Google Now, Clinkle and Zappos. Recent international media articles claim multiple employees left these organisations at the same time, as a result of tensions and growing staff disenchantment, during their reorganising. South African IT leaders busy with reorganising their IT units also face the risk of experiencing high attrition rates or heightened turnover, and what is especially problematic is that this contagion of staff exodus is occurring over a short period. The losses of vital knowledge, skills and abilities for strategic and operational IT performance can be catastrophic. At the University of Pretoria's School of IT, Department of Informatics, we research IT employer-employee relationships during periods of organisational change. Our research shows that change-induced collective turnover of IT staff points to poor communication practices during an organisational change. If tensions are not managed using appropriate communication strategies, IT leaders face the risk of losing a number of their most talented IT staff. Here are some recommendations to mitigate unwanted collective turnover and manage IT talent retention during the reorganising of your IT unit. Leading a change to the IT organisation means you need to pay attention to both the company's and employees' needs. You should integrate oppositional tensions and capitalise on the synergy inherent within these tensions to keep employees satisfied. Placements for talented IT staff are still available in an otherwise sterile job market and the war for IT talent continues unabated. Rather than avoiding tensions or emphasising just the organisation's needs, emphasise the synergetic benefits of both poles. For example, if the IT unit is increasing the level of formality and red-tape because of governance pressures, you may want to frame the new vision as "playing responsibly". Follow a top-down communication approach and you will just increase tensions. Employing traditional problem-solving techniques and framing communication in ''either/or" ways will only worsen tensions. Do not assume the dominant discourse of the change (eg, formality) will be taken-for-granted. Instead, employ a dialogic and collaborative approach by generating "both/and" solutions. For example, you and your team can develop generative questions, "How can the new organisation be 'formal' and 'fun' at the same time?" and "How can we benefit from formality while holding on to the past benefits of 'fun'?" Communicatively competent IT leaders are sensitive to the history of their employees (their selection, socialisation and enculturation). To retain this group of experienced, creative and innovative IT employees, you should co-create the changing organisation and make the effort to engage these creative and innovative IT staff that you probably chose to employ in the first place. Dividing oppositions among staff by playing 'good cop-bad cop' will only result in withdrawal and paranoia. Staff will reciprocate to political games by concealing information and making deliberate omissions when engaging with you about the progress of the change. They will simply 'hide' information as a result of increasing distrust with you and your management team. The rumour mill will manufacture opinions that leaders are "putting a squeeze" on them. Even if you do not use the word 'retrenchment', a lot of your staff will feel insecure and leave. Don't be surprised if the reorganising leads to turnover disproportionately from your most senior and talented employees. Employees who joined your IT unit recently may generally advance more positive responses about the reorganising and these newer recruits may not share in the same dissatisfaction. However, turnover of the 'old guard' can be catastrophic both in terms of human and social capital losses. Also remember that the old guard identify more with their teams and technology they work with and their loyalty sits within these 'IT communes'. Unlike people in traditional careers such as accounting, marketing and human resources, talented IT staff have lower levels of corporate/organisational identity but higher commitment to their 'communes'. IT leaders such as Vineet Nayar (CEO of HCL) understand the value of attracting and retaining talented employees. Autonomy and transparency are important values at HCL. HCL even goes as far as placing its "customers second". It is a smart way of recognising that placing talented IT employees first will lead to better customer care. These recommendations offer no guarantees of eliminating collective turnover during tricky times. However, the overall humaneness of a dialogical and collaborative approach to change, and working through communicative-tensions with your staff in emotionally healthy ways, I believe, offers you a better answer to the IT talent retention challenge. To sum up, the ability to retain talented IT staff during a reorganising depends to a large extent on your communicative competence as an IT leader. Associate professor, School of IT, Department of Informatics, University of Pretoria. 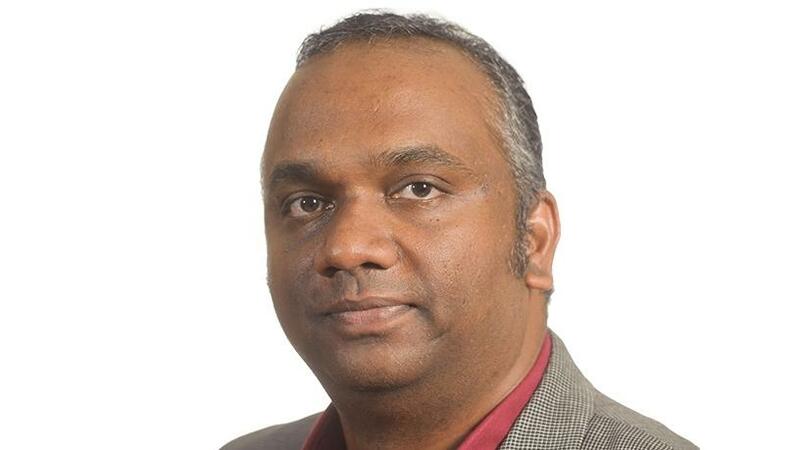 Rennie Naidoo is an associate professor at the School of IT, Department of Informatics, University of Pretoria. He has served a number of clients on several IT projects in both the public and private sectors over a 20-year period. Naidoo is also a NRF-rated researcher. His research interests are broadly about information systems and organisations, with a particular focus on IT value, IT human resources development and end-user issues. He has published articles in leading international outlets such as the Journal of Strategic Information Systems and the Information Society Journal. He lectures topics on IT value and enterprise systems to postgraduates at the university. 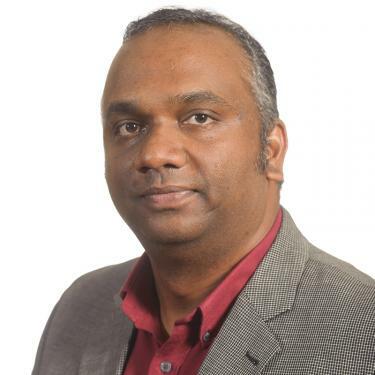 He is passionate about collaborative research with industry - that is, using applied and basic research techniques developed in academia to solve problems related to information technology in organisations.